"Each shirt is hand-printed with care and shipped within 10-12 business days. On occasion we may not have your item available for printing. In this case please allow up to three weeks for delivery." Etsy shop, Bannor Toys, makes these cute wooden state-themed rattles. You have the options to choose your own colors for the rings and you can also personalize it. 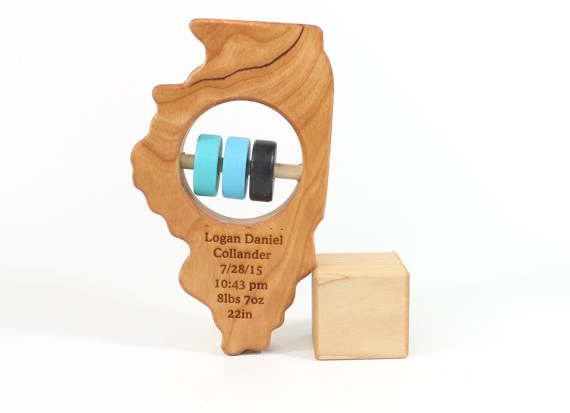 It can be laser-engraved with either the child's name or their birth announcement (full name, birth date, time, length, and weight) for an additional cost. 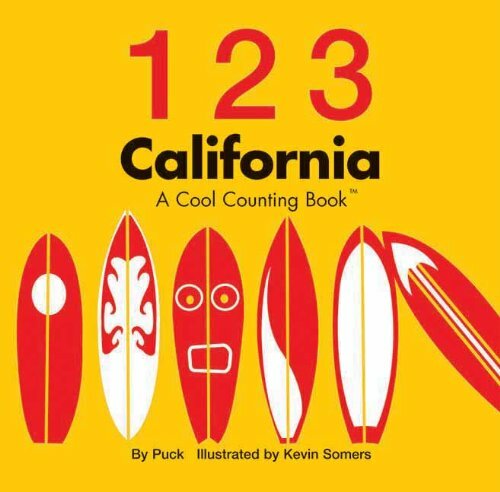 There are several California books - here are a couple board books that are good for baby hands. 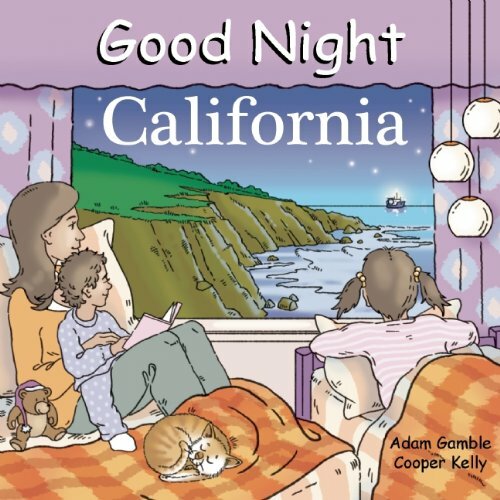 Good Night California takes you through the beaches, mountains, deserts, redwood trees, farmer's market, Silicon Valley and other California sites. See the buttons below for where to buy.